Yegna encourages positive behaviour change for girls in Ethiopia by tackling real-life challenges through stories and music. Yegna is changing the culture of Ethiopia in a good way. It opens the doors to people’s homes and deals with real-life stories. While Ethiopia is a country on the rise, girls still face serious challenges – from educational access to early marriage and violence. Yegna, Girl Effect’s multi-platform youth brand in Ethiopia, tackles these issues through its radio drama and talk show, TV drama, digital channels and music. It inspires behaviour change for girls, boys, their families and communities, by encouraging them to rethink what it means to be a girl in Ethiopia today. Meaning ‘ours’ in Amharic, Yegna is rooted in Ethiopian culture. It’s built around the insight that one in five Ethiopian girls don’t have any friends, and encourages them to overcome adversity by forging meaningful friendships. 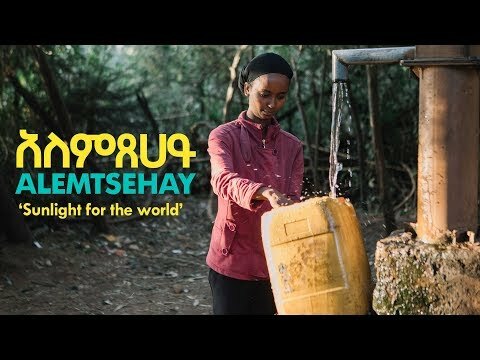 The Yegna cast - five girls and two boys - play characters that represent the lives of millions of Ethiopian teens as they form friendships, strive to find their voice and follow their dreams. Its storylines have been developed with young people, their families and communities across Ethiopia, to ensure that they accurately reflect their realities. Since launching in 2013, Yegna has reached 50% of the population across Addis and Amhara following the story of five girls who start their own band. Yegna is provoking positive conversations about the important role girls can play in Ethiopian society. Tackling complex issues through stories developed based on research with girls and their families in communities across Ethiopia. Spreading Yegna's positive influence across the whole country and make an even bigger impact on girls’ lives. The drama builds on the success of the original one hour Yegna TV special (with a 2.2 million viewership in Addis and Amhara in 2015). Facilitating conversations around topics that affect adolescent Ethiopian girls, hosted by two radio personalities. Taking the message of gender equality beyond borders. Tapping into Ethiopia’s growing digital audience. This is the story of Alemtsehay, an incredible resilient girl who despite immense adversity, finds inspiration in Yegna. Meet Medeset, an inspirational girl who introduces her family to Yegna, and sees the dramatic effect it has on the boys in her household. Would you like to work in partnership with Girl Effect in Ethiopia?